Chris brown , international rnb star who recently visited Lagos has released a new video called HOME . interestingly , the video has shots of Lagos, Nigeria in it. it shows he appreciates the country and most especially Lagos as well. Even our keke maruwa was not left out of this video. In the video , he said he wished he could go back to his youth days and wished he could go back home. well this saying brings up lots of questions and noses. where is Chris brown home ??? well , nice work chris..
8o years and still in love. John (101) and Ann Betar (97) of Fairfield, Connecticut, tied the knot on Nov. 25, 1932. They’ve been happily married for over 80 years now. Together they have five children, 14 grandchildren and 16 great-grandchildren. They have been named the longest married couple in the U.S. They said their secret to so many happy years together is simple: compromise and don’t hold a grudge. Yay!!! At last the Duchess of England , Kate Middleton is pregnant with not just one but two babies as the gist spreads tho . 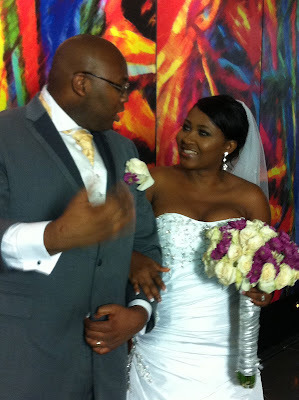 Teju proposed to Tobi on the world’s most romantic day – Valetine’s Day (2012) at the Southern Sun Hotel, Ikoyi, Lagos. Although surprised, Tobi said Yes and from then on, the journey of the soon to be Mr & Mrs began. Teju speaking on why he chose to spend the rest of his life with Tobi, in his own words “ I felt peace, kind of like the peace of God that passes all understanding”. Jason Njoku of Iroko Partners a Technology Media entrepreneur wed “BlackBerry Babes” Star Nollywood Actress Mary Remmy in Lagos today. The couple chose an intimate ceremony with family, friends and colleagues on the guestlist. 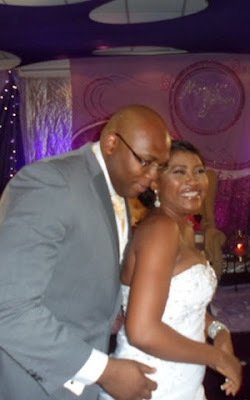 Though the groom, Jason is based primarily in the United Kingdom, the couple chose to get married in the bride’s base, Lagos. Jason and Mary’s wedding took place at the Golden Tulip Hotel in Festac and purple was the colour of the day as their reception venue was decorated with props in various purple hues while bridesmaids also wore purple dresses. Nollywood stars including Mercy Johnson, Halima Abubakar, Eniola Badmus, Moyo Lawal, Uche Jombo, Oge Okoye and many more were there to support their colleague on this monumental day while Jason’s colleagues including his business partners and staff from Iroko Partners also flew in to Lagos for the special occasion. Haven’t stopped laughing and gazing since i pounced on this picture. wow ,this guy is so courageous i wonder what the girl is thinking.mtchew. now the question is ——– if a guy you love or lets say a guy that’s in love with you does this to you by going on one knee and asking would you marry me ? what would you do ? what will be your first reaction. ladies this is for you. have a sweet weekend.